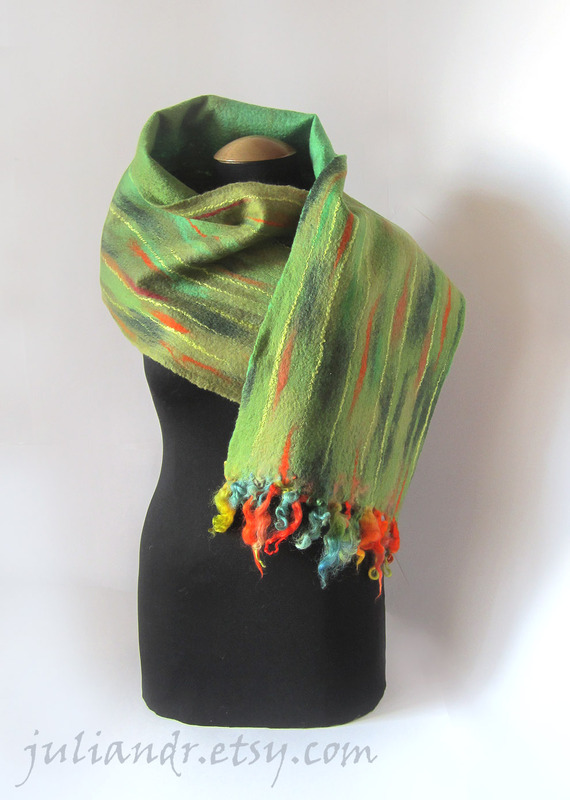 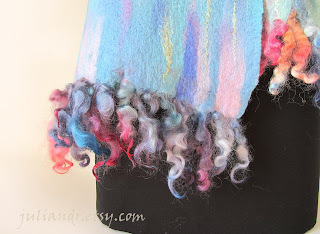 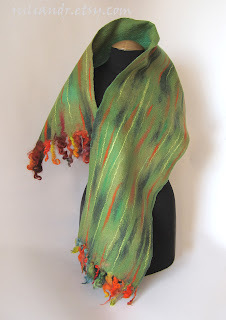 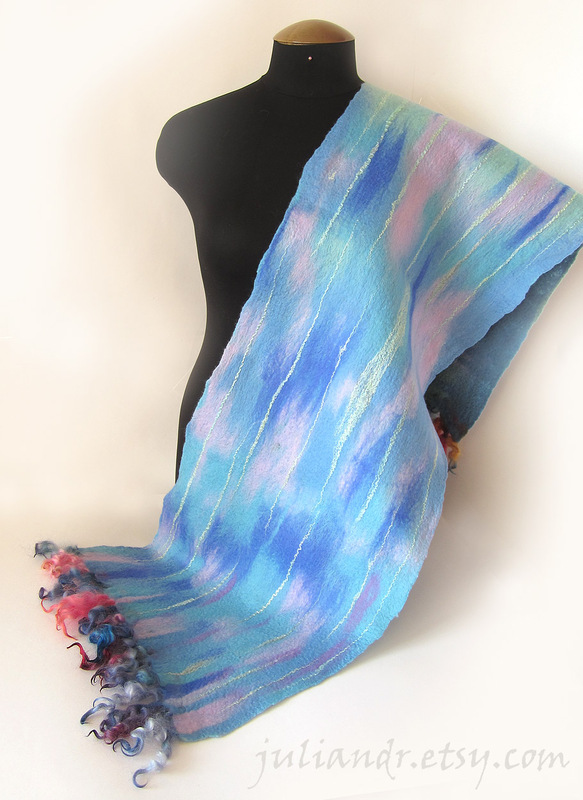 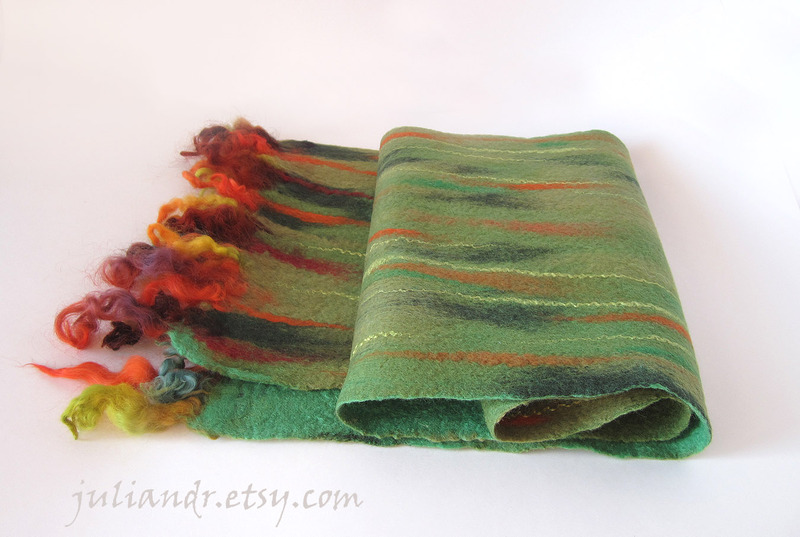 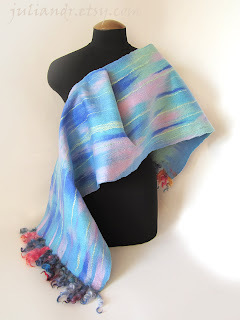 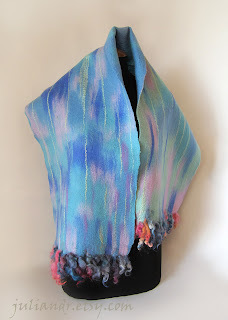 Two scarves opening the "Watercolor" collection, one cold and icy - another is hot and tropical :) They both are decorated with lovely curly fleece locks and hand dyed tussah and mulberry silk threads. 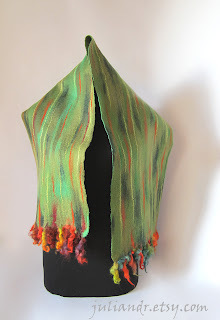 "Rainforest" measures approximately 130x30 cm --> 51,1"x11,8" without curls. "Aurora borealis" is a tiny bit bigger, 131x35 cm --> 51,5"x13,7" without curls.